After a wonderful start to our trip on KI, we arrived on the mainland and said farewell to Emma’s parents Chris and Alan. 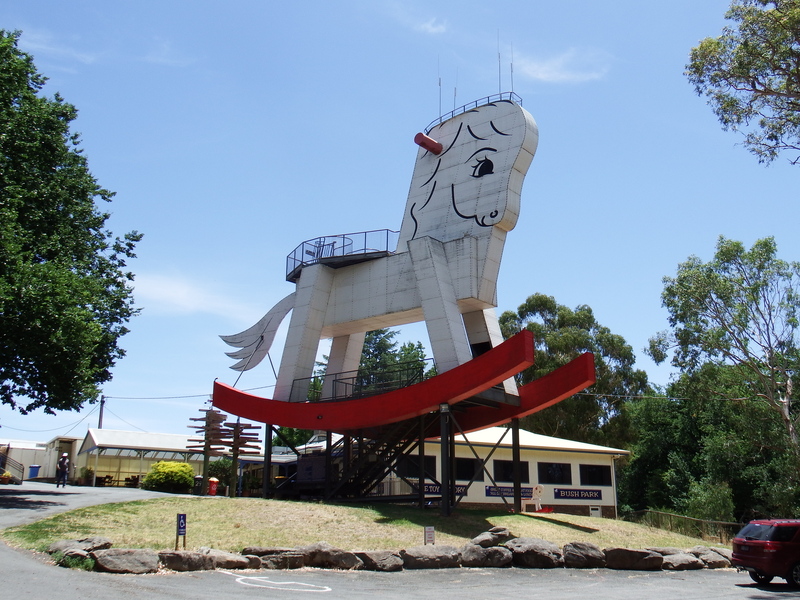 We headed north to Gumeracha (pronounced Gum-er-ack-a), the home of the biggest rocking horse in the world. Emma was keen to climb it, but as it was stinking hot, we deduced that the metal ladders would be too hot to hold and decided not to bother. We did take a look around the toy shop which is filled with an array of wooden toys, but we weren’t tempted into buying anything, not even the wooden shavings that were packaged and labelled as rocking horse manure! Also on site is a small wildlife sanctuary. 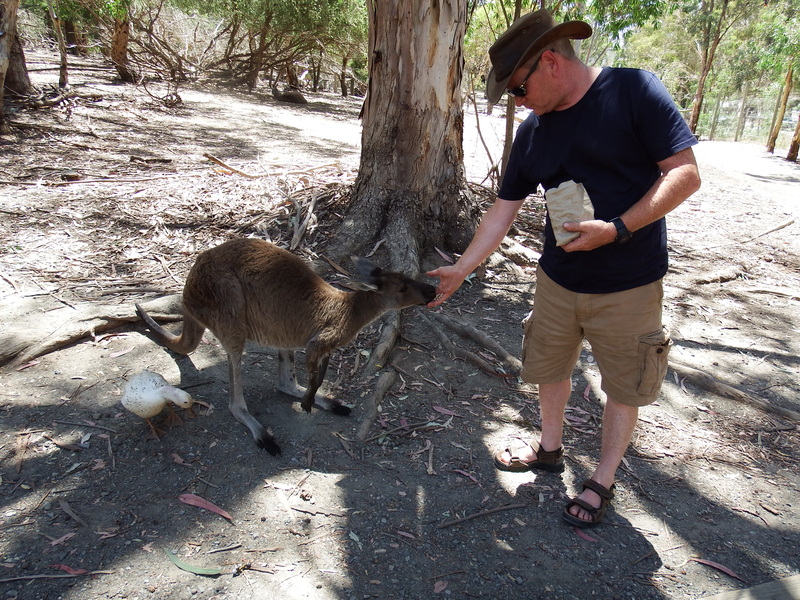 We paid the $1 entrance fee each to look around and bought a bag of animal feed for $2. 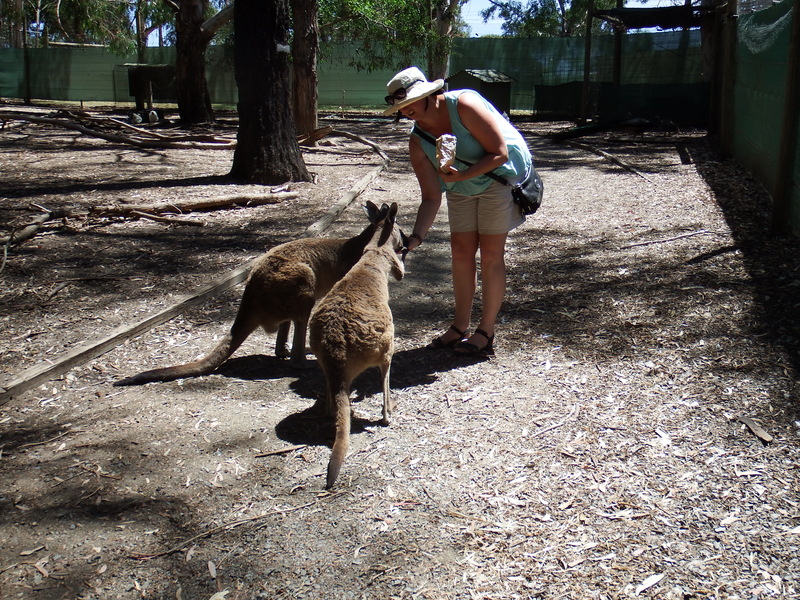 We thought feeding the kangaroos straight from our hands was pretty cool. 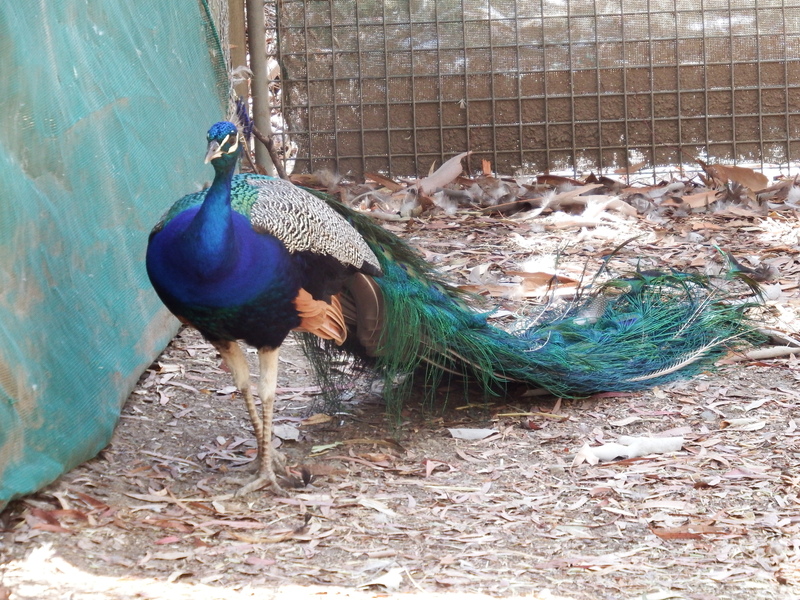 There were also goats, sheep and a number of birds – chickens, ducks, peacocks and corolla’s in the enclosure. 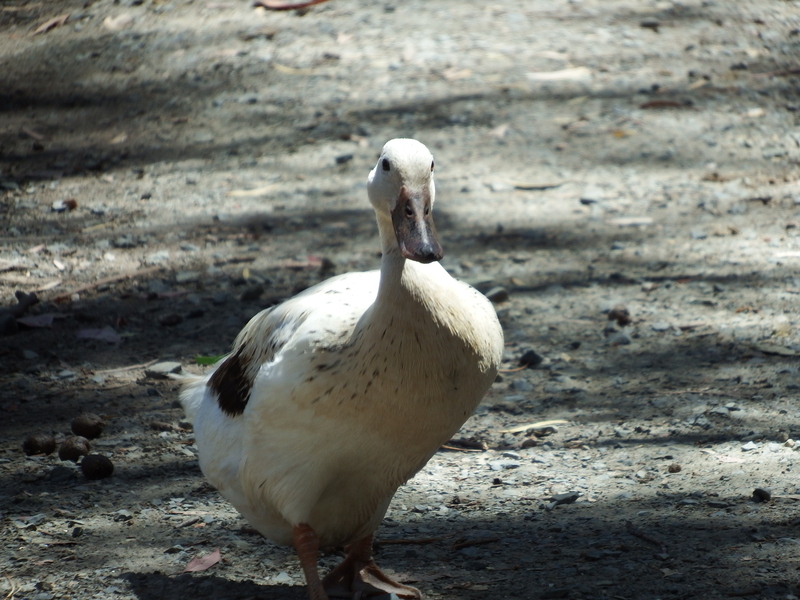 This cheeky duck kept following us around looking for food. We thought it was a great experience for the price, and would have been a very pleasant way to spend an hour or so if it hadn’t been so damn hot. 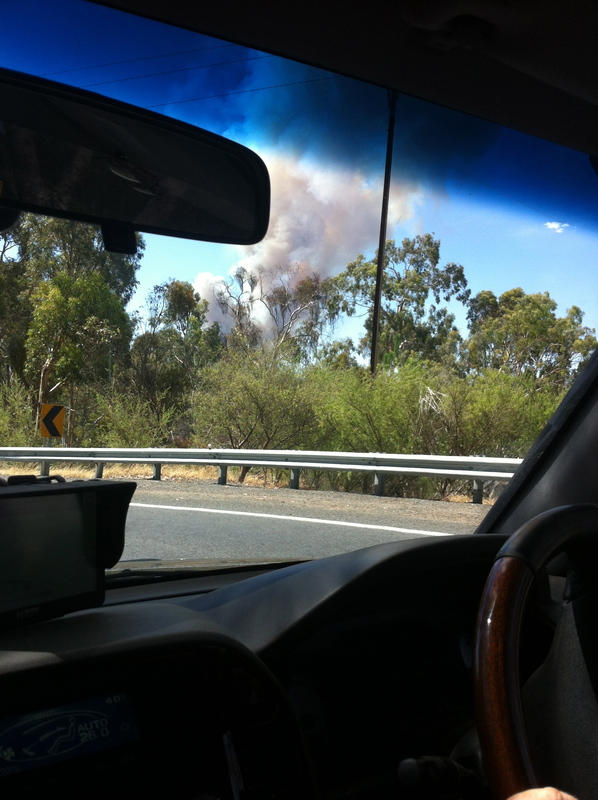 After a quick lunch we were back in the car heading north again when we spotted a column of smoke in the sky ahead. We both agreed that it looked like a bush fire. We tuned in the radio, but there were no announcements of any kind. Stopping and looking at the map we decided that we would turn around and take a different route. As we plotted a course in towards Adelaide city the announcement came over the radio that there was indeed a bushfire burning out of control in the Adelaide Hills. Hot! 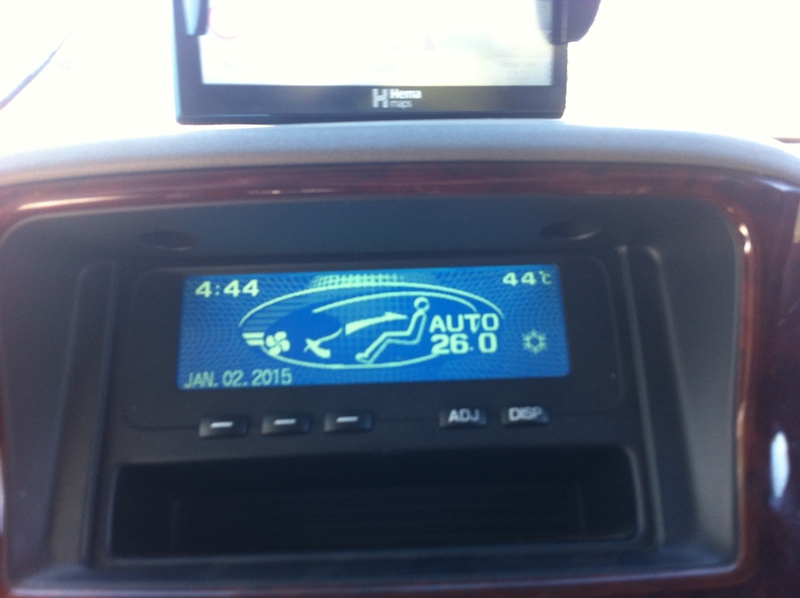 44 degrees at 4:44pm. Due to the detour it took us a bit longer than expected, so we didn’t roll into camp until just before 6pm. It was still hot work putting the tent up and we took a refreshing cool shower before nipping into town to buy something for dinner. 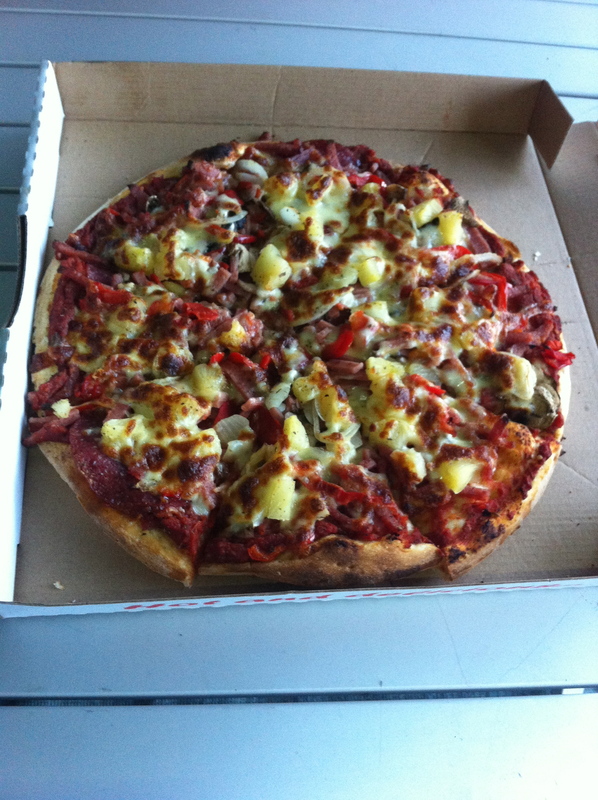 We settled on a pizza from the local Nurioopta pizza place.